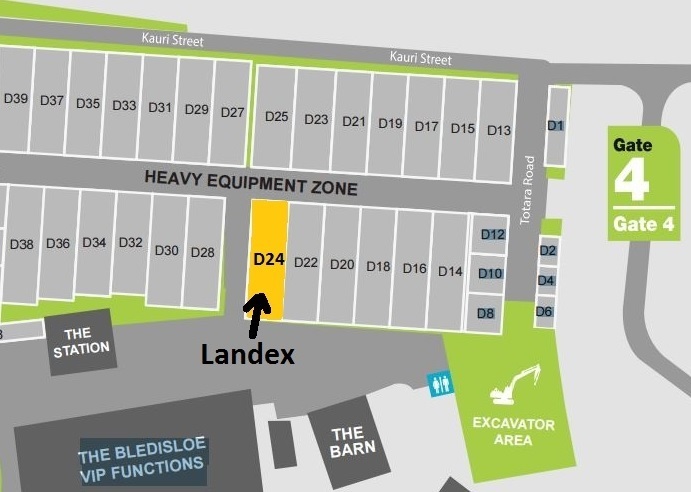 I hope you can come and visit our stand at the National Fieldays* at Mystery Creek, June 13th to 16th. We will be back at the same site D24 near gate 4. 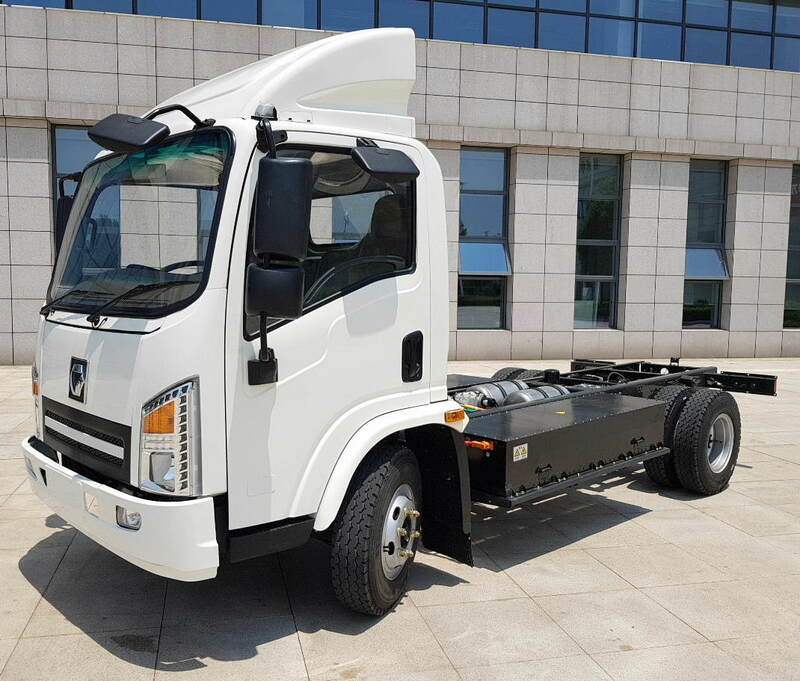 I was back in China last week for final testing of the RHD fully electric trucks. 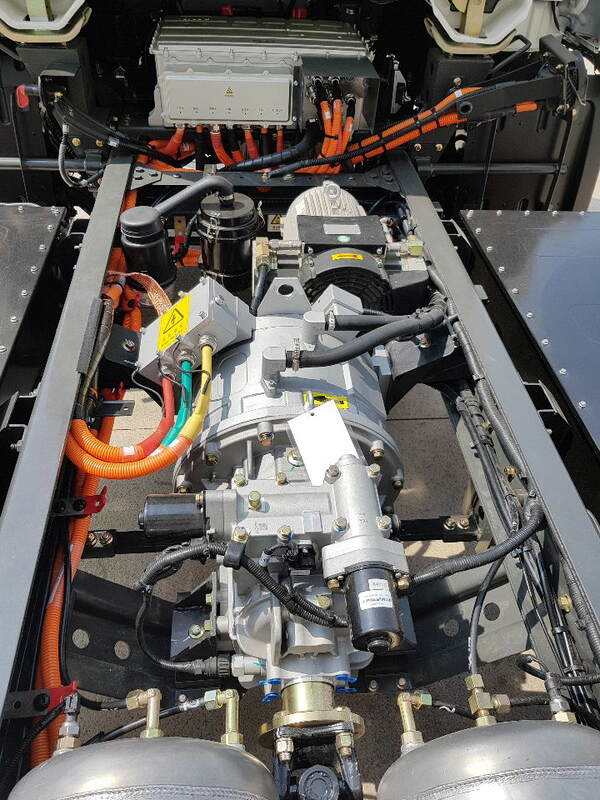 They now have better cabins and far more power than the early version. 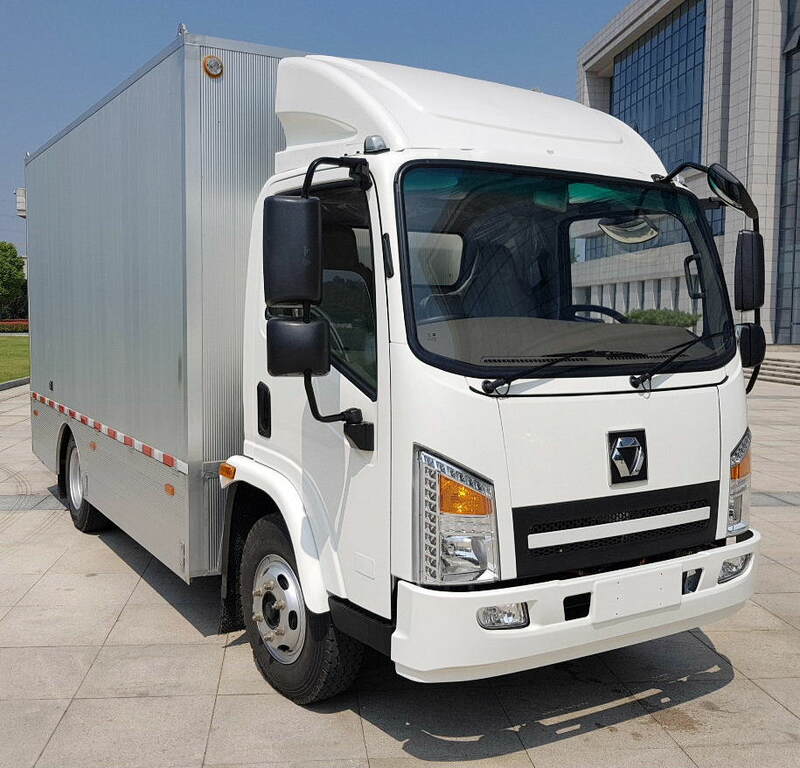 Both the box body and the cab chassis will arrive in New Zealand at the end of July. 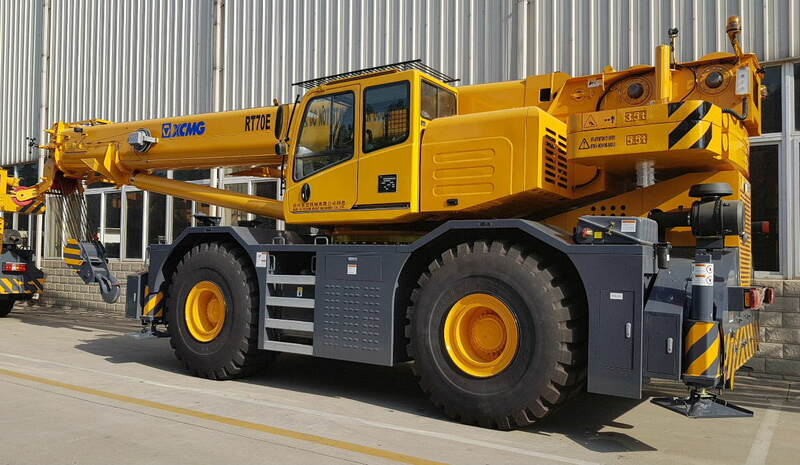 I also had a brief visit to the truck crane factory which is the largest of XCMG’s machinery facilities. The rough terrain range now includes a 200 tonne model. 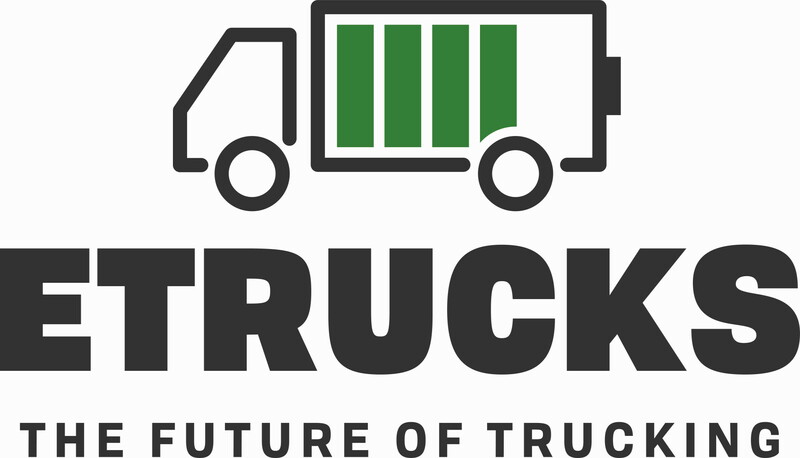 This is the 70 tonne version built for sale in Europe. 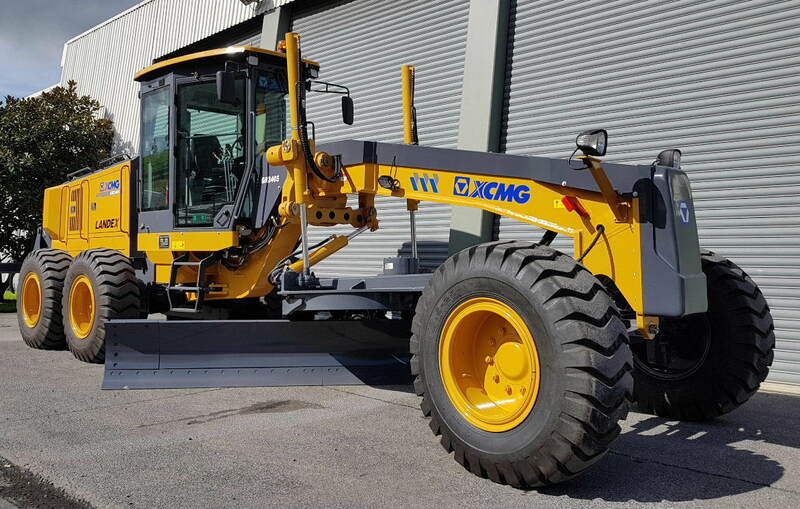 Our main Fieldays special this year is an XD100RT. 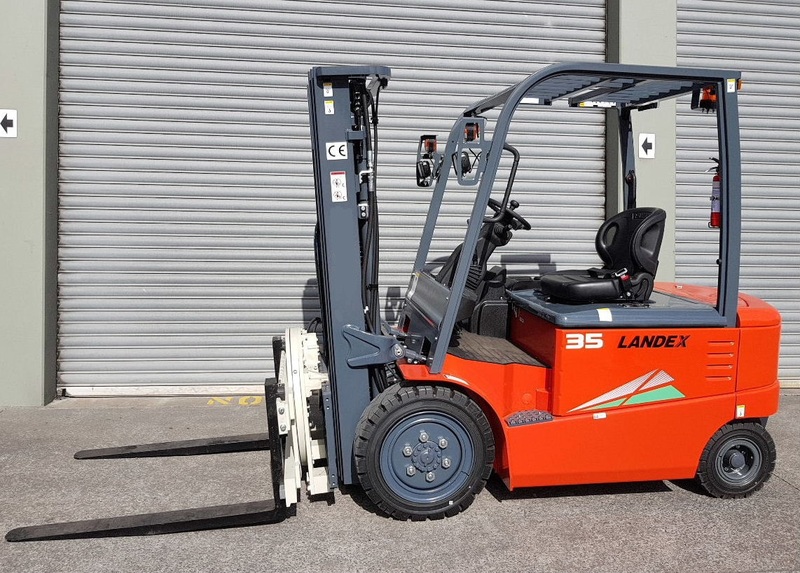 We have one unit only of this Kubota diesel powered rough terrain forklift at $45,000 + GST including the non marking tyres. 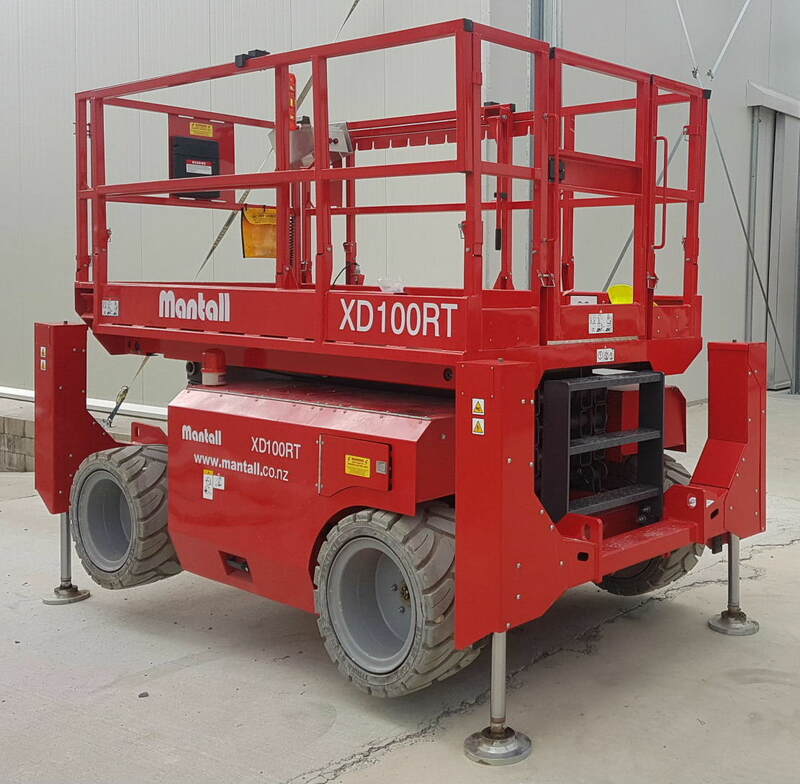 Back at Mantall last week the upgraded XE60 Mini Plus were nearly ready to ship. 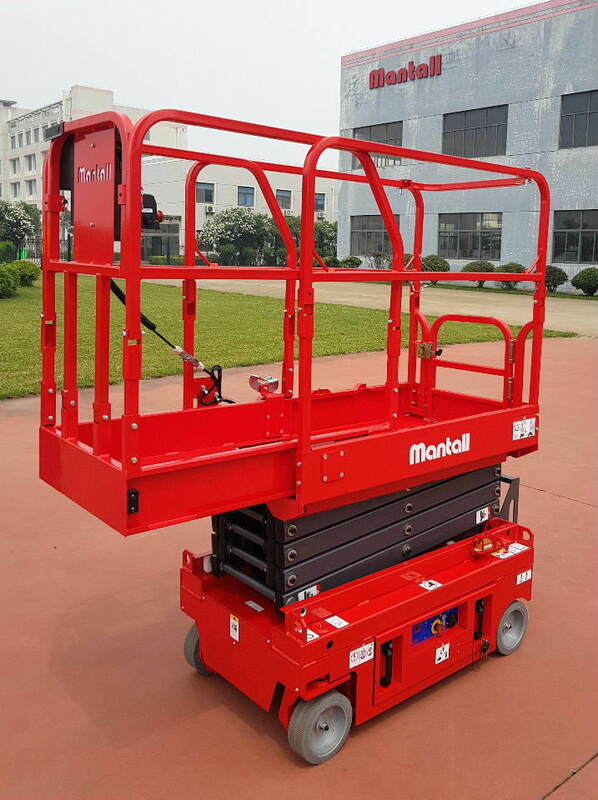 These have proven very popular in New Zealand and are the cheapest wind rated (outdoor use) scissor lift on the market. 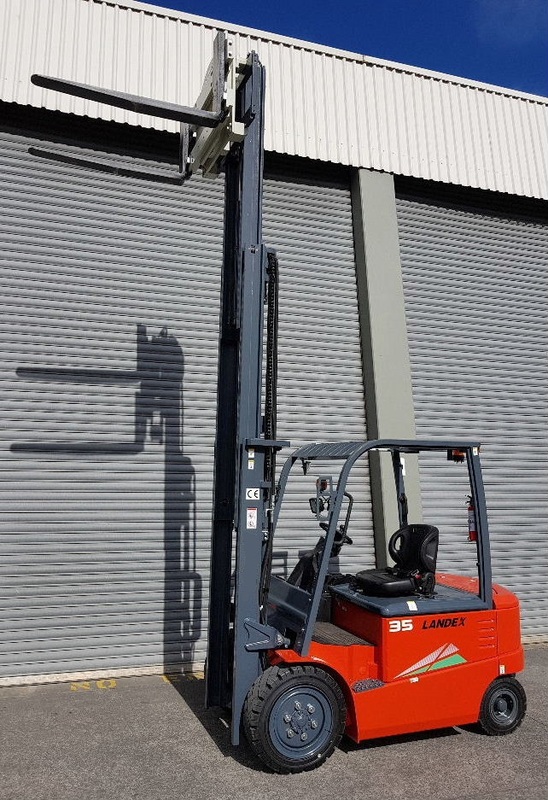 If you need a taller machine, perhaps one of our 16m working height electric scissors seen here in Porirua. 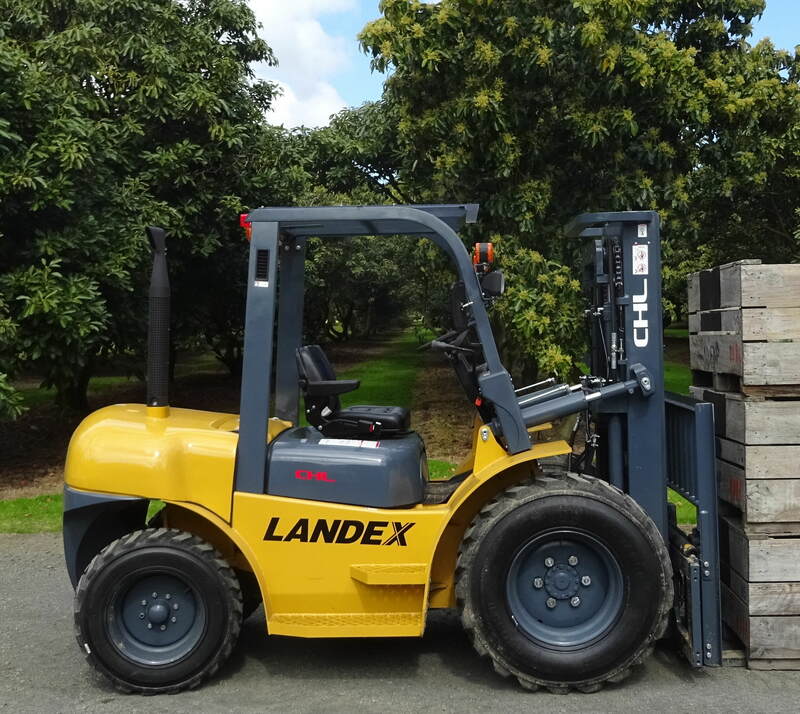 Also at the Fieldays will be the field mast version of our rough terrain forklift. The 3.5m wide view duplex mast keeps the price down to a remarkable $31,000 + GST with a 60hp Isuzu engine. 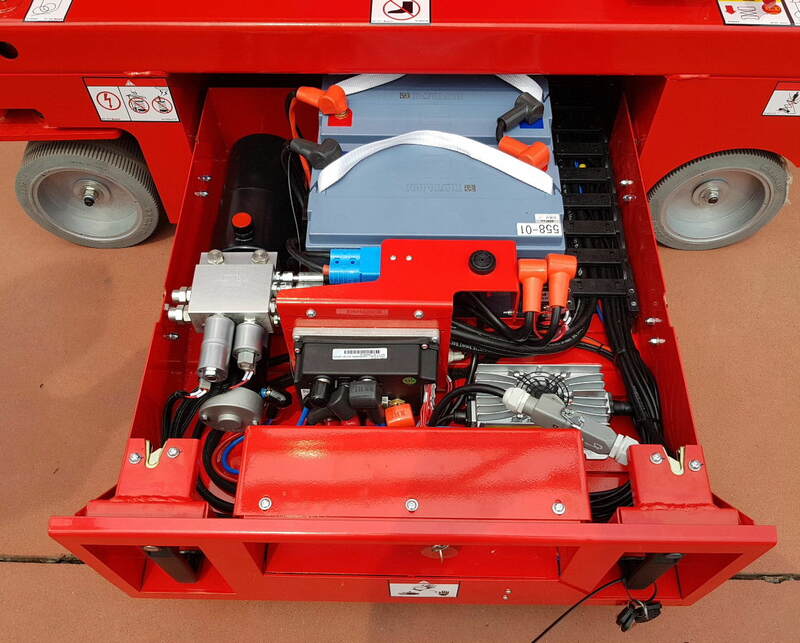 Another forklift being prepared for Waste Management, this one a battery powered 3.5 tonne unit. 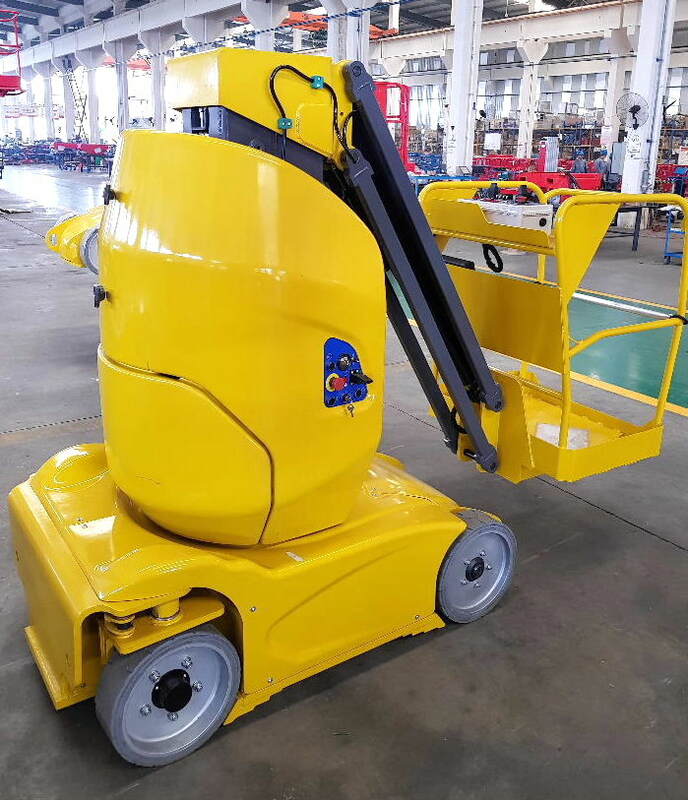 Fitted with a 4.35m mast and a bin rotator, it will be used in Mt Maunganui. 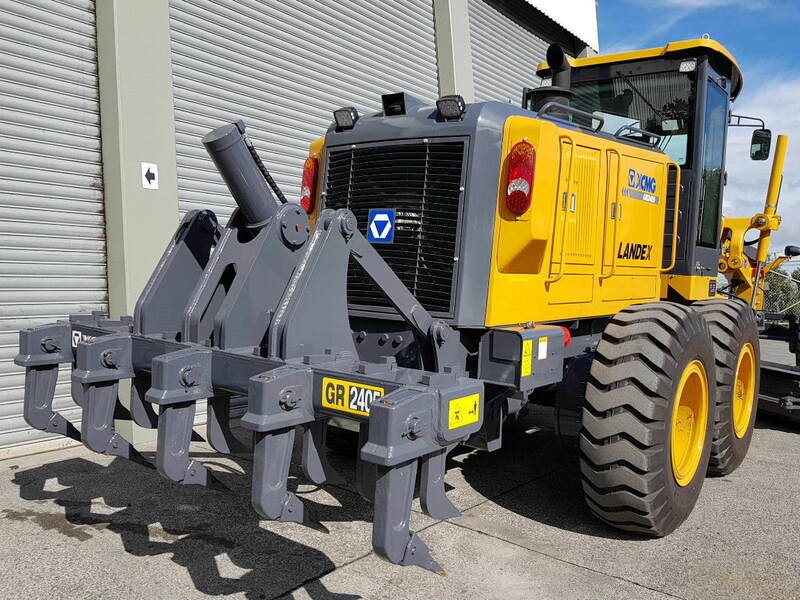 We have a few of our popular LW300K’s in stock at present. One is sold to a Northland transfer station, the other two still available. 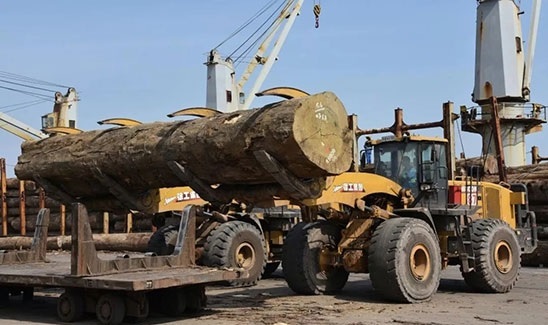 At a river port in Jiangsu these 30 tonne LW800KN’s are working hard to lift oversize hardwood logs from Africa. 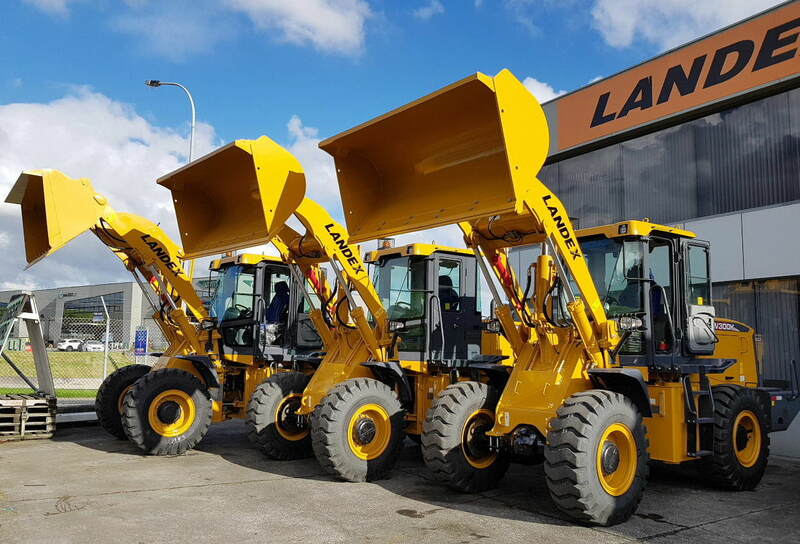 The loaders have run up over 5000 hours in their first year. 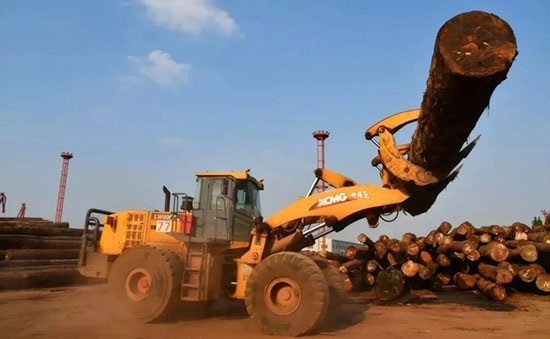 The level of R&D investment from XCMG is very high by industry standards.. 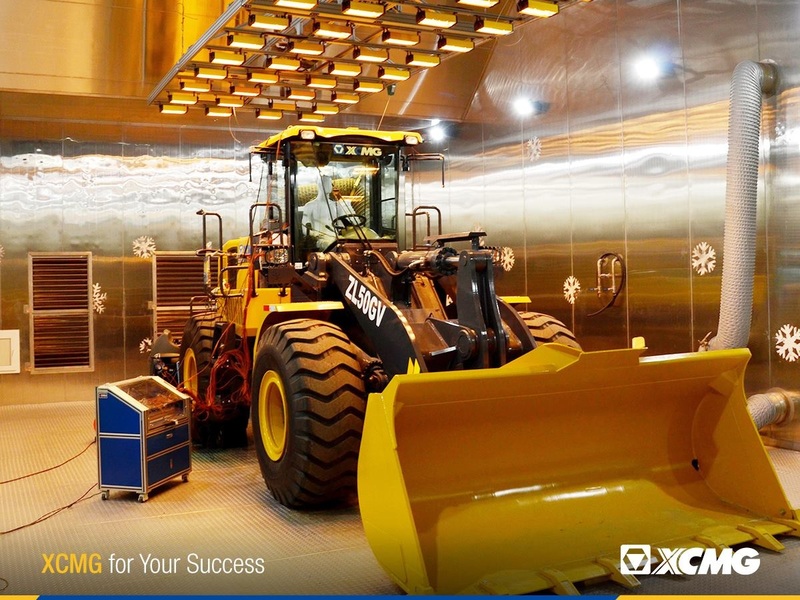 This is a publicity shot of the temperature testing facility where both the loader functions and the cabin environment are monitored through a range of conditions.